Weekend date for user trial of BrahMos missile. The Indian armed forces are preparing for a user trial of supersonic cruise missile BrahMos from a test range off the Balasore coast. The Defense Research and Development Organization (DRDO) will provide logistical support for the test. The trial will be conducted from the Integrated Test Range (ITR) at Chandipur-on-sea, anytime on Saturday or Sunday. DRDO scientists and Army officials have been working on the test since the past fortnight. The BrahMos has been developed as a joint venture between the DRDO and Russia's Federal State Unitary Enterprise NPO Mashinostroyenia (NPOM). The missile is named after two rivers, the Brahmaputra and the Moskva. A scientist associated with the mission said the supersonic BrahMos is a unique missile, unmatched in speed (Mach 3), precision and power. It is also unique in that it has no known counter. "Preparation for the test is on in full swing. While the missile has already been integrated with the launcher, tracking systems and other technical instruments are being placed to track the missile in full length. The missile will be tested in full operational configuration," the scientist told TOI over the phone. 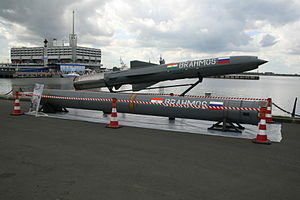 BrahMos is a two-stage missile. It is nine meters tall and weighs 3.9 tonnes with the canister. It can reach a speed of 3 Mach and has a range of 290 km. It can be launched from ships, silos and road and rail mobile launchers. It can carry a conventional warhead weighing 300 kg.